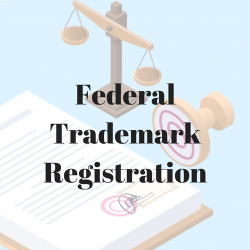 What do we mean by a Federal Trademark Registration? I have used TTSC several times with complete satisfaction. Their searches were thorough, well organized and timely and the staff very responsive to my needs. Their pricing was very competitive. I will use them again in the future. I recently started working with TTSC and have been extremely pleased with the service. The customer service is above and beyond what I normally experience and I am so grateful for their work (thank you!). I highly recommend their services. More complete results are now more affordable; thanks to TTSC. The additional elements like the domain names added to the search results give our clients more value for their money, and more confidence in our firm. I have been using The Trademark Search Company for a couple of years now. The search results are comprehensive and delivered on time. When I suggested some changes to the way the search results were delivered, they were not only receptive, but scheduled a conference call with their entire team, then implemented much of what we discussed. I highly recommend. I have used all the different search services in a 15 year career in IP. I have found The Trademark Search Company [TTSC] to be the best all-around search company. That’s factoring in knowledge, experience, price, and the availability of live help. I even once requested that digital reports contain a checkbox and they were responsive to that request. (C) 2008-2018 TTSC. All rights reserved.